Here in this post, we are going to outline and discuss the importance of primary education in Nigeria. we hope you find this article informative. Assumption, they say, is the lowest form of knowledge. It is best not to assume, that everyone understands the importance of primary education, particularly in a country like Nigeria. Well… the truth is. The current realities within the Nigeria state, suggests that we might need to beam the light on the more than sacrosanct role of primary education. This would help to further strengthen our understanding of the role primary education plays. It among other vital things, would help us better appreciate primary education, and help our approach to primary education altogether. Section 4, page 12 of the National Policy on Education described primary education as the duration given in an institution for children aged normally between 6 years to 11 years plus. Suffice to say, within the context of our discuss, that if the foundation of education (simply put: primary education) be destroyed, what shall become of the educational pursuit of Nigeria as a nation, in our quest to ensure above average literacy level. The inculcation of permanent literacy and numeracy and the ability to communicate effectively. Citizenship education as a basis for effective participation in contribution to the life of the society. The laying of a sound basis for scientific and reflective thinking. Character and moral training and the development of sound attitude. Giving the child the opportunities for developing manipulative skills that will enable him function effectively in the society within the limit of his capacity. Develop in the child, the ability to adapt to the changing environment. Provide basic tools for further educational advancement including preparation for trades and crafts of the locality. Primary education helps to equip on the basic needed to communicate effectively. It also helps the child to be able to engage in simple arithmetic and the likes. All of which subsequent knowledge would be built on. 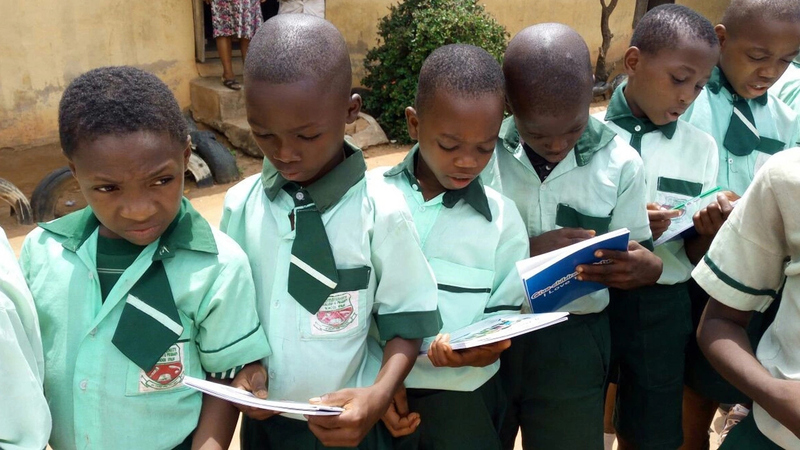 Primary education aids the child in familiarizing with what citizenship entails, his role as a citizen of Nigeria and to what extent his participation helps the growth and development of the country. This helps to plant the seed of loyalty to ones country in the heart of the child. Primary plays the more than important role of preparing the child for challenges by helping the child to engage his thinking faculty under any given circumstance. It also prepares the child to learn to lean on reason before making a choice while also emphasizing how important it is to give attention to details. Primary education ensures that the child is not deficient in the area of character. It helps the child to get acquainted with the essentials of what is morally expected of him within the confines of the society. It also teaches the child to develop and uphold rich cultural and social values. All of which helps to form the child into a decent individual on the long run. Primary education helps the child to understand that there is more than one way to achieve a given task. It introduces the child to the concept of diversity in approach to situation and teaches the child to learn to reflect on a situation based on the variables on ground and come up with the best solution. Learning to adapt to different situations is essential to existence. Primary education, understands this, and thus prepares a child with this in mind. Primary education introduces the child to subjects as well as teaching methods that helps him to over time, learn to adapt to his environment. Replicating this in the future, becomes easier haven been introduced to it early enough. Under normal circumstance, primary education is not intended to be the end of the road for a child. But whatever dimension the life of a child takes eventually, access to primary education, and must have prepared the child for further studies, engagement in a trade, craft or the likes. As a means of conclusion, it would interest you to know, that in the 19th Century, Western Europe, made primary education compulsory. The result of that decision, explains the level of social and economic development enjoyed by that region today. This goes to say, that the importance of primary education cannot be overemphasized if we aim at having a society that can be categorized as a developed one in the nearest future. Victor Ogungbe is a Public Affairs Analyst and Content Developer at InfoGuideNigeria.com. InfoGuide Nigeria is a team of Resource Persons and Consultants led by Ifiokobong Roberts. Page maintained by Ifiokobong Roberts. If you need a personal assistance on this topic, kindly contact us.